Reveal critical geospatial information to make better location-related decisions. 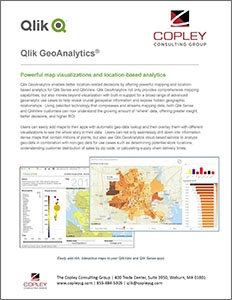 Qlik GeoAnalytics not only provides comprehensive mapping capabilities, but also moves beyond visualization with built-in support for a broad range of advanced geoanalytic use cases. This helps reveal crucial geospatial information and expose hidden geographic relationships.